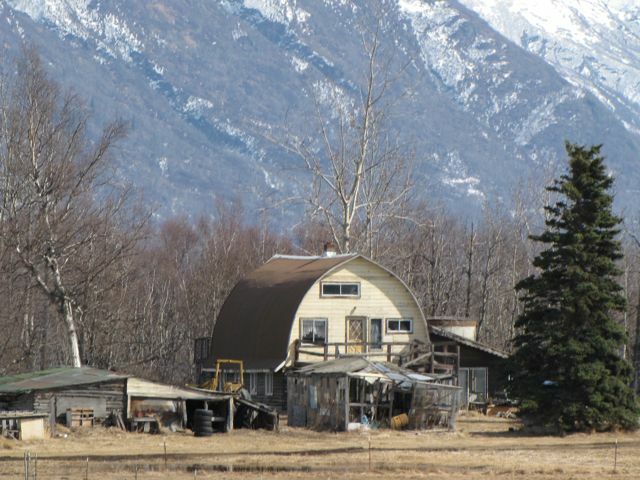 This map, which is similar to one which appears in the book, The Matanuska Colony Barns, shows the approximate locations of most of the remaining Colony barns. Adapted from an original map of the Colony tracts, which can be seen as 40 and 80-acre delineations, this map shows the roads as they existed circa 1935, rather than today’s highways and side roads. 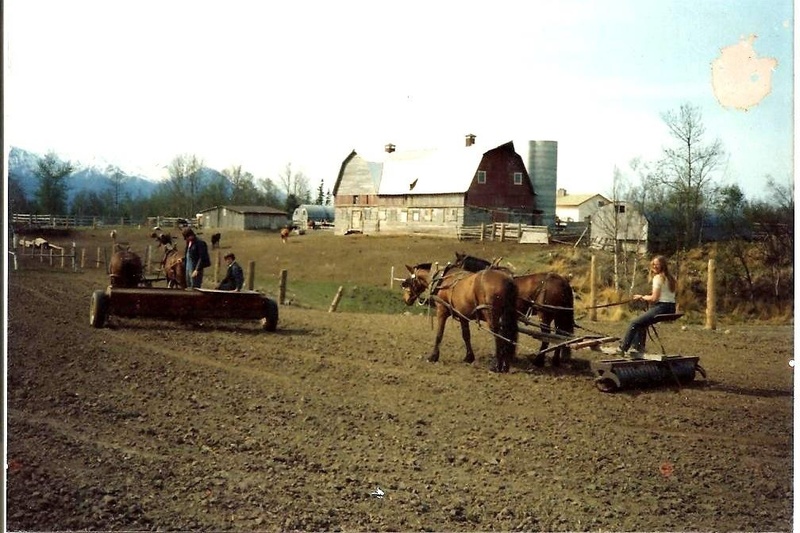 In the book the locations are notated and cross-referenced with each barn described in the book (a few barns located here do not appear in the book). A few notes about the locations, shown as stars on this map: All locations are approximate. 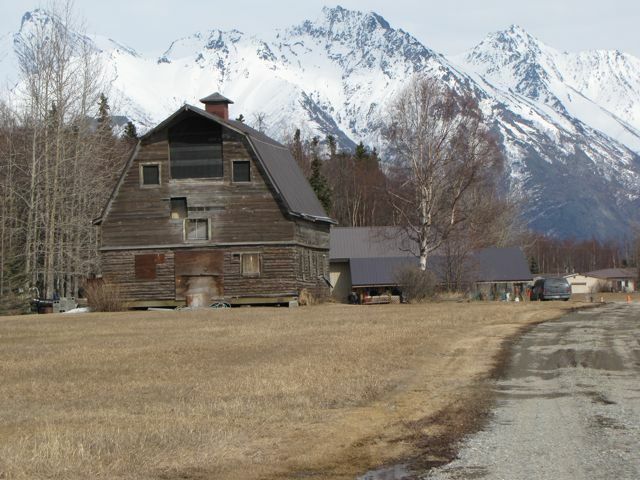 The Larsh-Wilson barn, which later became the Linn-Breeden barn and was moved to the Alaska Museum of Transportation and Industry (MATI) north of Wasilla, is shown in its original location, as the current location is off the map. 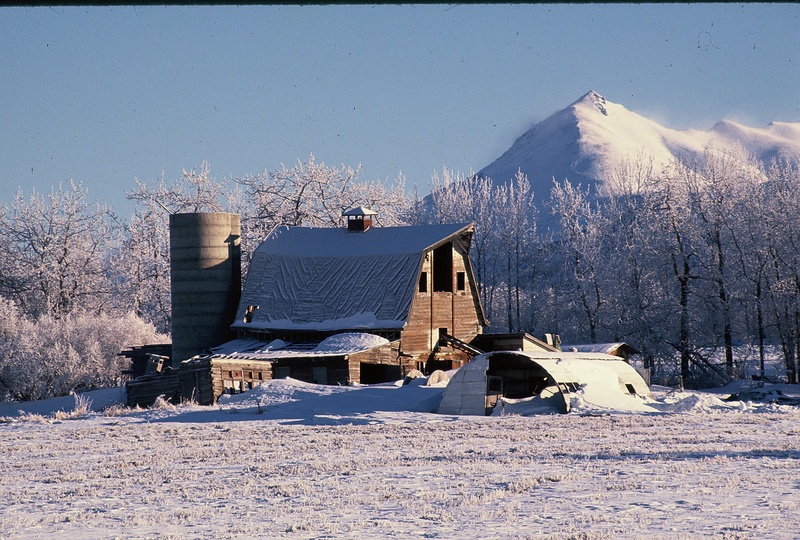 The Ed Wineck barn, which was moved to the Alaska State Fairgrounds in 1976, is shown in both the original location near Bodenburg Butte and at the fairgrounds. 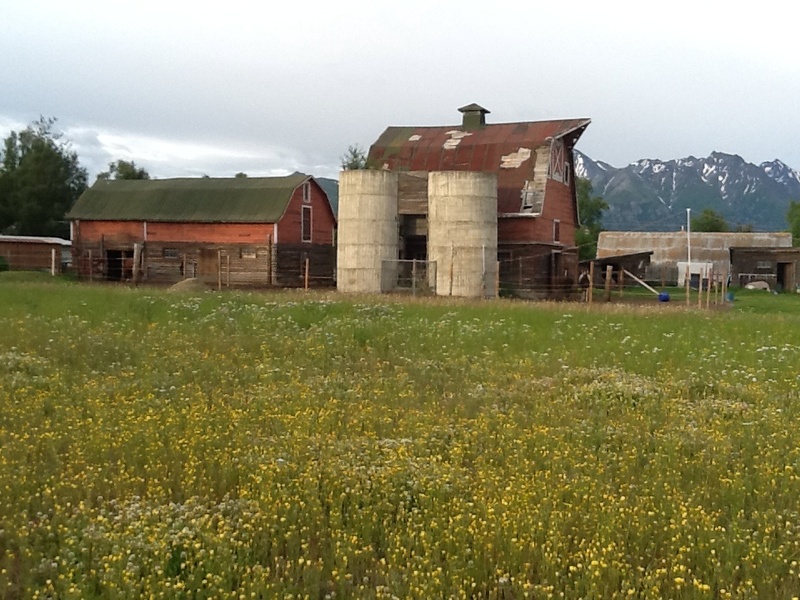 Various other barns are shown where they are now, but their original locations may be miles from there; a surprising number of these huge structures have been moved around the Valley for one reason or another. 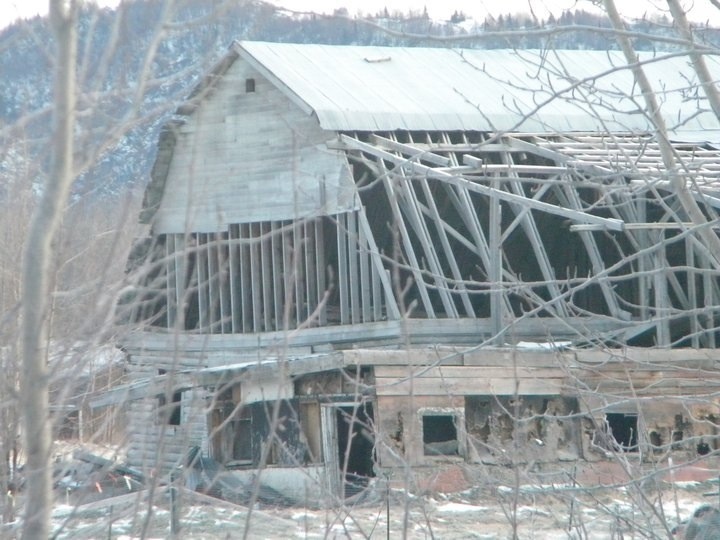 Sometimes, as with the Bailey and Loyer barns, they’ve only moved a few hundred feet from where they were built in 1936. 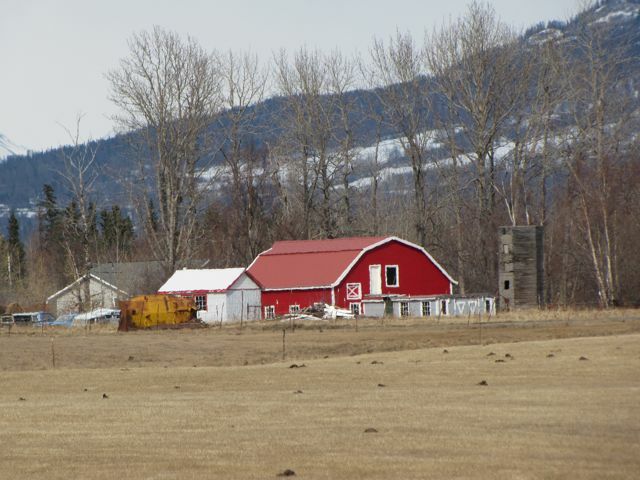 Most of the barns are visible from public roads, but please remember to be courteous when visiting and always respect private property signs. The map was created by Helen Hegener. 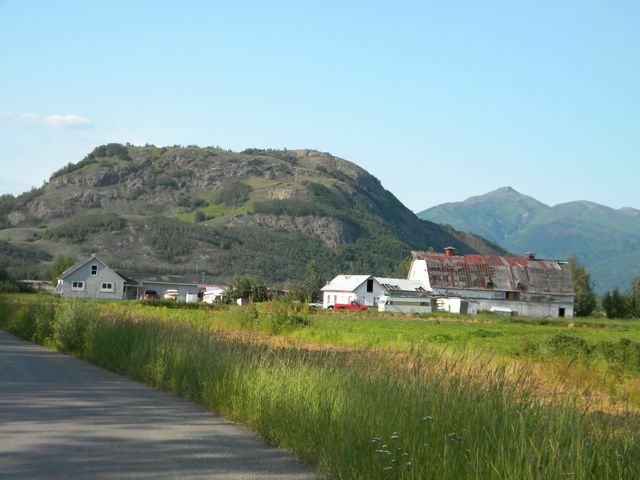 ©2013 Northern Light Media, all rights reserved. 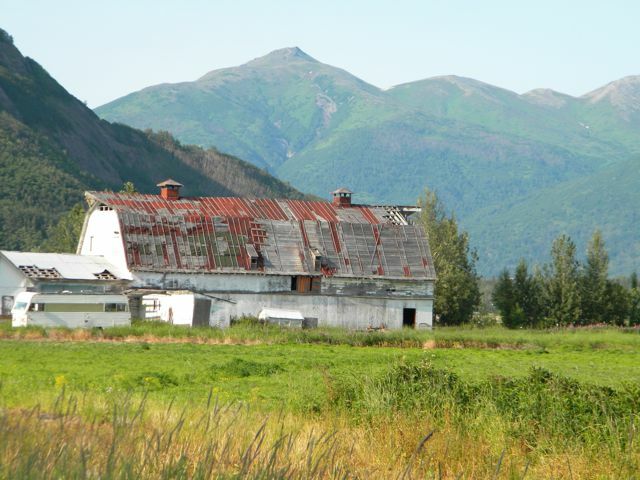 Ferber Bailey barn, on original Colony tract number 152, at Moffit Road and the Glenn Highway, as seen from across the hayfields on the west end of Scott Road. The house is the original Colony house built in 1935. 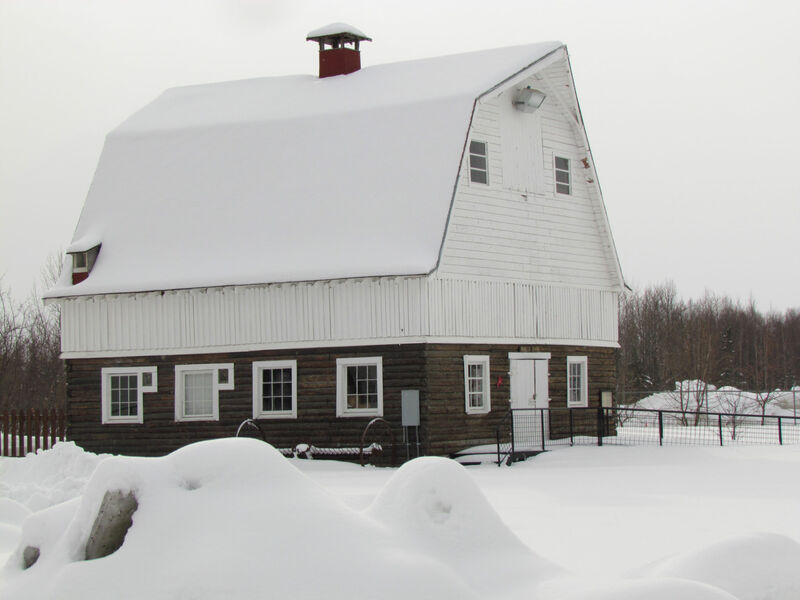 The Virgil Eckert barn, one of the few barrel vault roofed barns, has been transformed into a home. 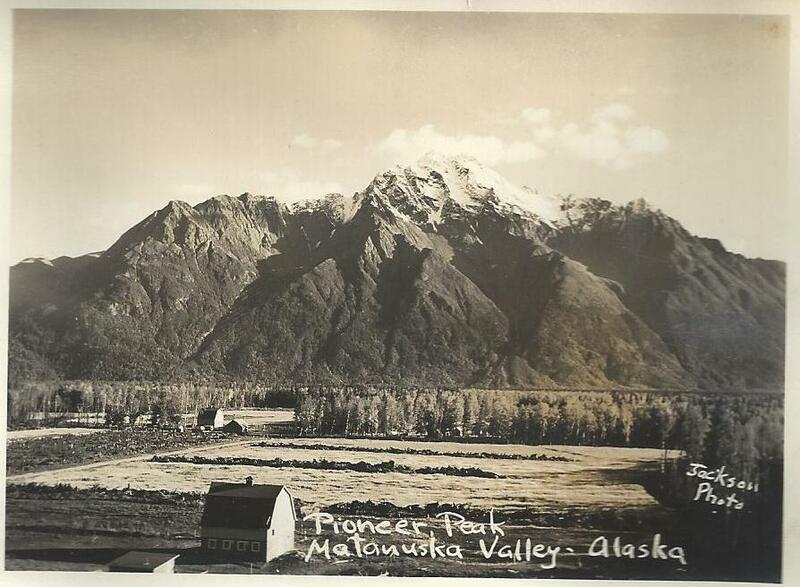 It is on the original tract number 100, just south of Scott Road and the Glenn Highway. 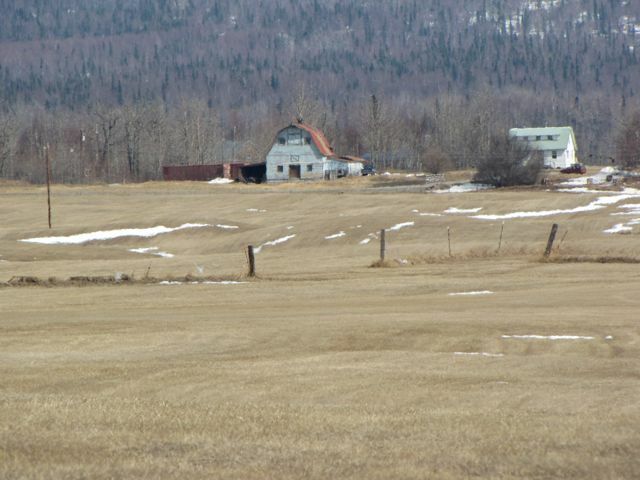 The Ising-Dregseth double barn on Wes Grover’s farm on the southeast end of Outer Springer Loop Road, as seen from across his hayfield to the west. 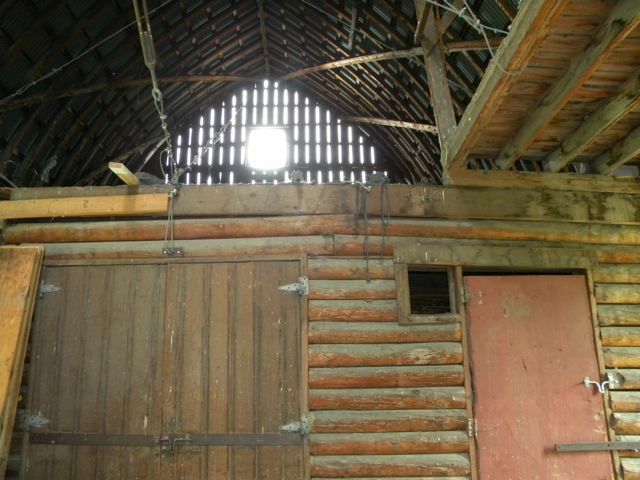 Wes Grover also owns the Venne original Colony barn. 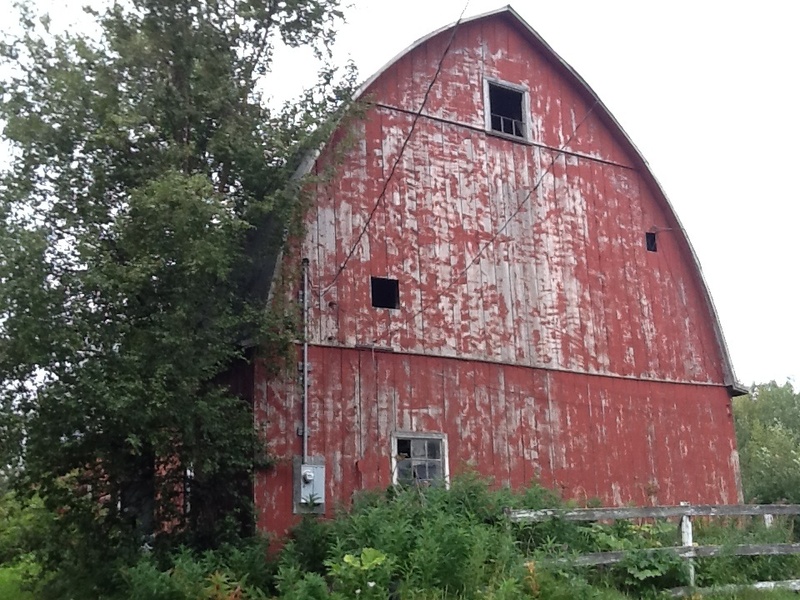 Loyer-Lake barn, original tract no. 62, on Outer Springer Loop Road, as seen from Robley Street. 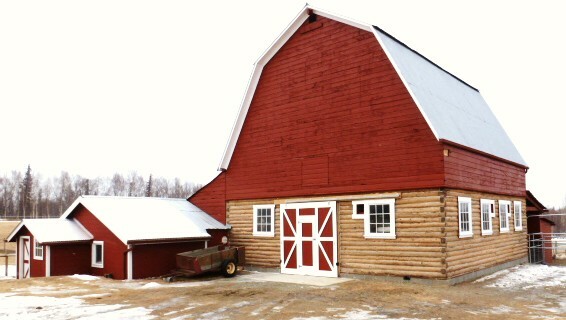 DePriest barn on Outer Springer Loop Road, note the addition/extension to accommodate the unusual side-entry doorway. After going through hundreds of photos and dozens of front and back cover layout options, here is a first look at the final design for the cover of the new book. 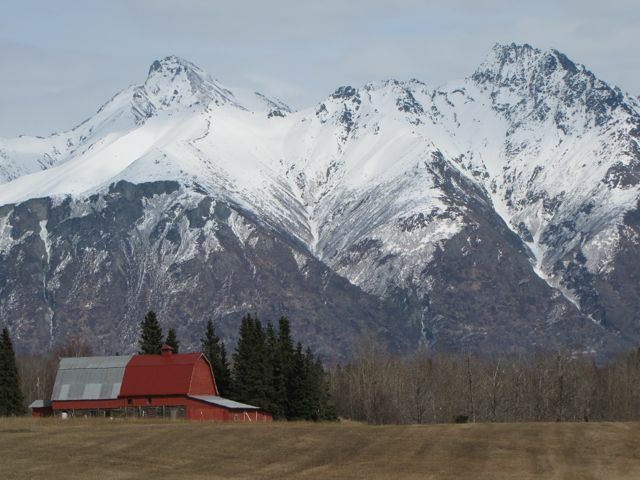 The barn on the front is the Earl Wineck barn at the Alaska State Fairgrounds. This is a photograph I took at the end of the Fair last summer. 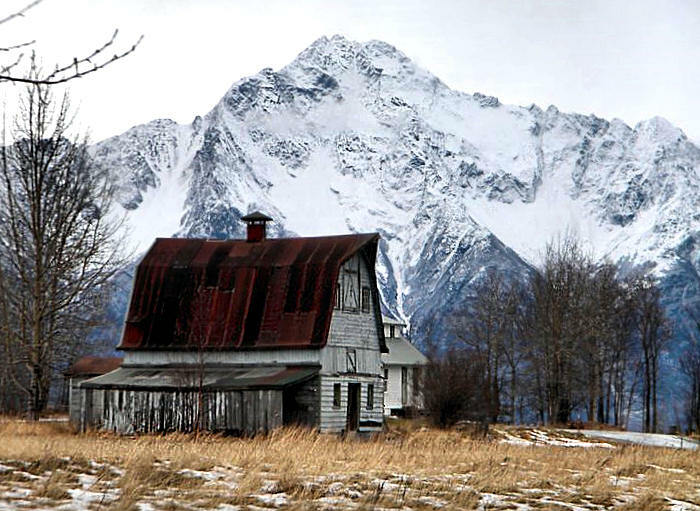 At the invitation of my friend Joanie Juster, I spent many delightful hours in the Wineck barn, talking about the history of the barns, and watching the documentary film Joanie co-produced on the Matanuska Colony Project, Alaska Far Away, as she shared it each day. 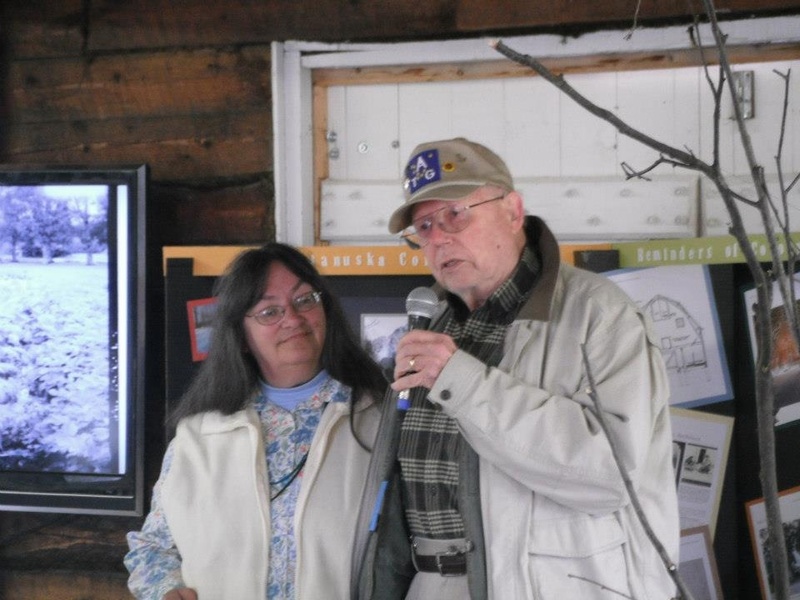 I gave a couple of slideshow presentations on the barns, and I was delighted to meet many wonderful people who also appreciate the old barns, including Earl Wineck, Jr., who talked his dad into donating their barn to the Fairgrounds. 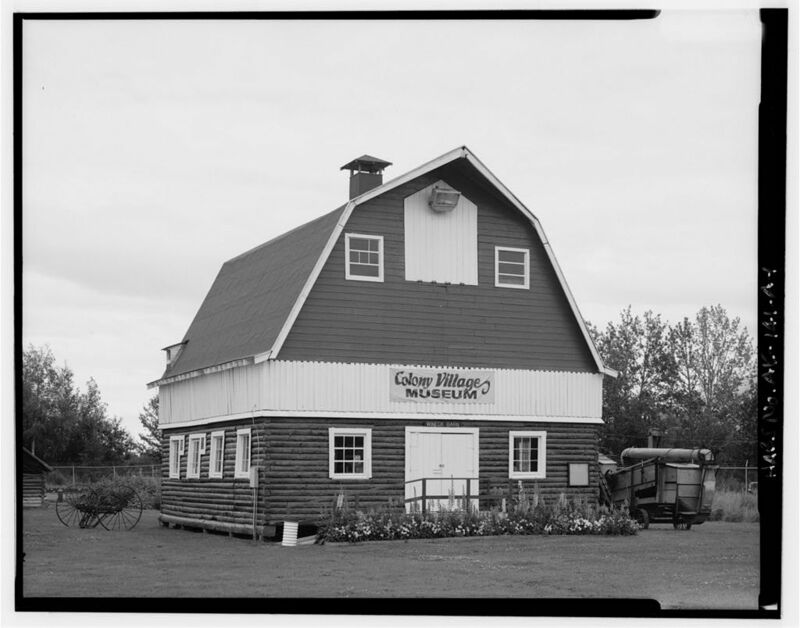 The Wineck barn also appears as the background image on the back cover. 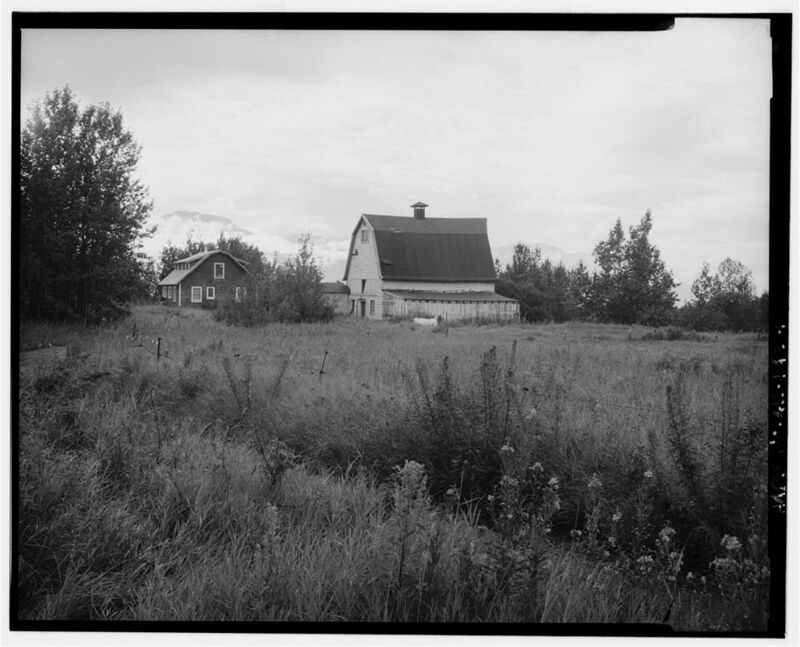 The upper image on the back cover is also my photograph, the Ferber Baily barn on Marsh Road, now owned by Richard Estelle. 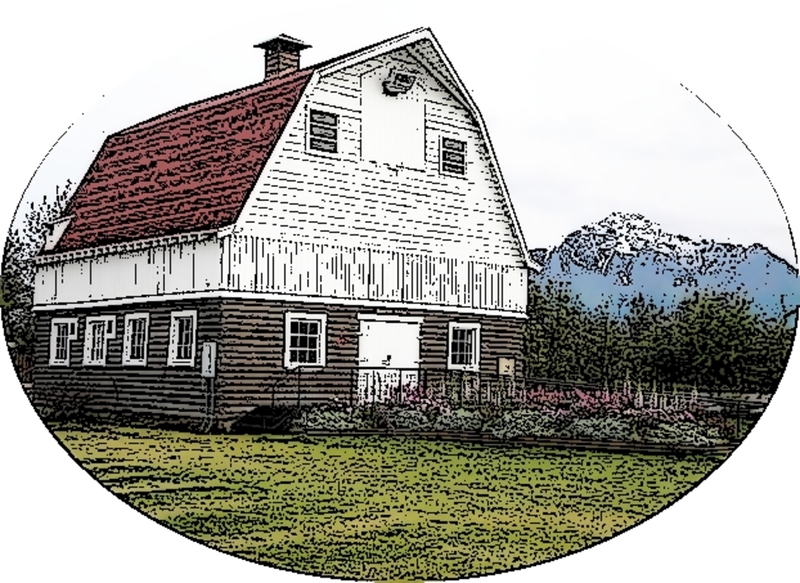 The bottom image is the new logo for Northern Light Media, made from one of the art prints which my sister, Susan Patch, created from a photograph I took last summer of the Raymond Greise barn on Outer Springer Loop Road, south of Palmer. The book is in the final stages of production and will be published the first week of May, 2013. 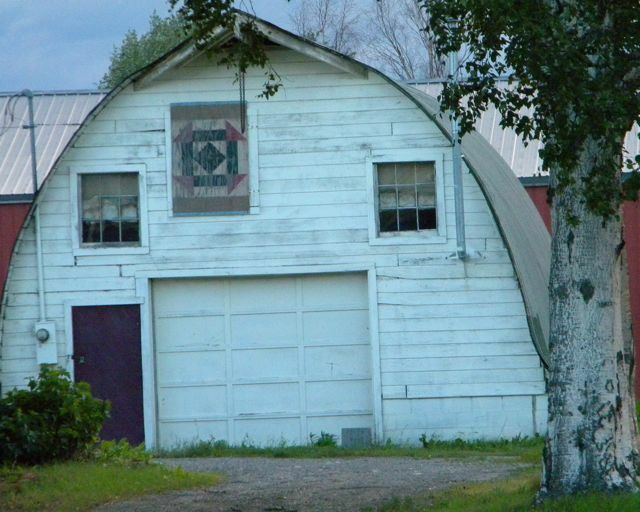 The Earl Wineck barn, originally built near Bodenburg Butte, is a landmark feature at the Alaska State Fairgrounds. 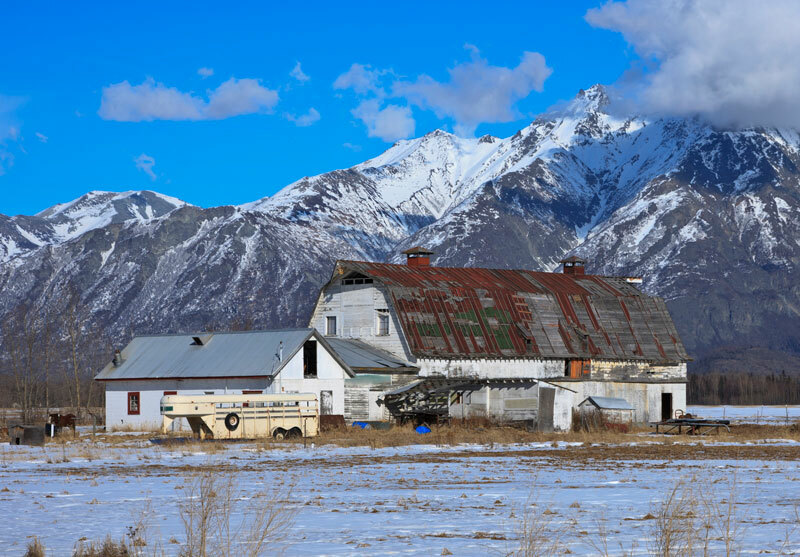 The beautifully photogenic Matanuska Colony barns lend themselves well to artistic expression, and a series of barn images, created by Susan Patch from photos which will appear in the forthcoming book, The Matanuska Colony Barns, are available online at Fine Art America. 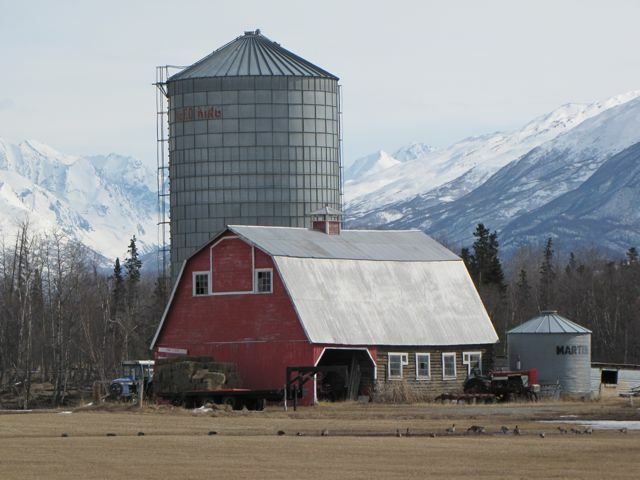 Six barn designs are currently available: the Wineck barn at the Alaska State Fairgrounds; the Bailey barn, which is on the National Register of Historic Places; the Venne barn, which is part of the RG Farm on the Outer Springer Loop Road; the Greise barn on the Springer System; the Barry barn on Campbell Road; and the Breeden barn at the Museum of Alaska Transportation and Industry, north of Wasilla. More Colony barn images will soon be added to the series. FineArtAmerica.com takes care of the printing, framing, matting, packaging, shipping, and delivers “ready-to-hang” artwork. Each image is also available on greeting cards. Take a few minutes to browse the beautiful images!